For a couple months now I've been kicking around the idea of writing a piece about my desire to step away from following baseball this season, let my attention go to more important things, and especially not allow my emotions to get invested into the ups and downs of any baseball team. This piece was going to be a list of reasons for Why I'm Done with Baseball (for now), one of the main reasons being that the sorry state of the New York Mets and the departure of their best player to an arch rival are just too frustrating for me as a Mets fan. Other reasons include the steep price of following the game (for years now I've been an MLB.tv subscriber but in order for that package to carry over to either the iPad or iPhone device, one has to pay extra---as if Major League Baseball needs my money more than I do) at a time when I don't have much disposable income; the long hours spent watching games or reading baseball articles could certainly be better spent (especially at a time when I'm trying to put together two book-length projects); and after the dazzling crescendo of the 2011 baseball season, I figure the excitement has nowhere to go but down this year. Add to that the fact that my favorite angle of baseball coverage, sabermetrics, has finally gone mainstream with stat experts appearing on MLB Network alongside the dunderheaded TV analysts of old, and it seems like there's just way too much for me to digest right now. It'll digest me, frankly. I figured a step back from intensely following the sport would be healthy for me. After all, baseball will still be there waiting for me whenever I want to return. With 2012 baseball starting to show its earliest glimmers, though, I find my excitement and anticipation about the new season is as high as it's ever been in my life. It isn't as though my mind isn't occupied by other things, other sports even. I'm watching the NBA season closely (more on that in an upcoming post) and keeping my eye on hockey as well but now that the first drops of real baseball news are trickling in it feels like I'd been in a drought this whole time. Besides the season previews that are starting to pop up, the sad news of Mets legend Gary Carter (perhaps the smiley-est guy in baseball history) succumbing to brain cancer at the age of 57 sprung up some great writing in remembrance of the 70s and 80s baseball icon. The retirement of knuckleballer Tim Wakefield led sportswriter extraordinaire Joe Posnanski to wax poetic about that rare bird. One of my favorite writers, Josh Wilker, also put together a great Wakefield piece. 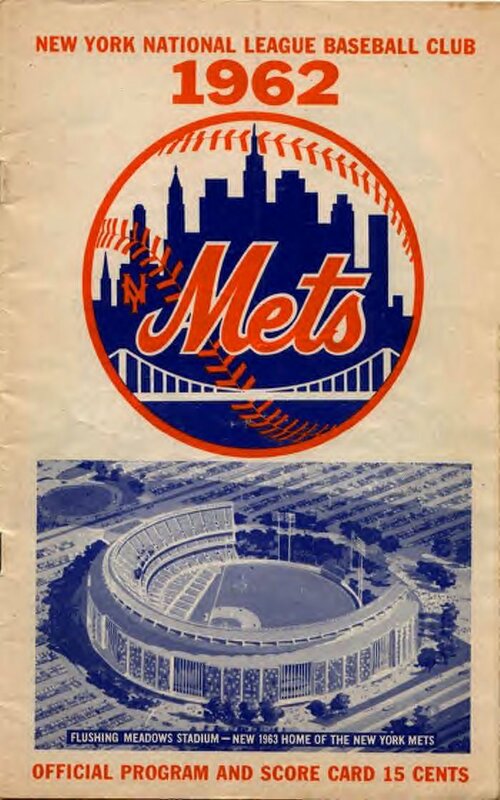 Lastly, solidifying my Mets pride is this New York Times piece on the first ever Spring Training for the New York Mets which took place exactly 50 years ago in 1962. As it's only mid-February and I'm already completely sucked into the baseball sphere, you can expect plenty more pieces to come in the next couple months including my usual divisional previews. Hopefully I can manage to find the time and mental energy to cover my other pursuits as well.